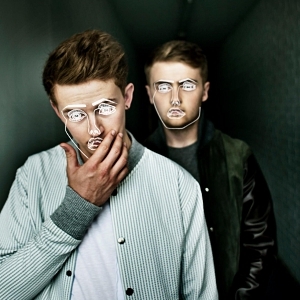 Disclosure is an English duo consisting of brothers Guy and Howard Lawrence. The siblings work on various types of electronic music such as deep house, UK garage, future garage and synth pop. Their parents were both musicians so they both learned to play instruments at a young age. The brothers started creating music and posting it to Myspace which resulted in exposure and ultimately led to a record deal with PMR Records in 2011. The duo released an EP titled The Face in 2012 and set off on the festival circuit to perform. In 2013 two of their songs (White Noise and You & Me) hit the UK the top 10.Their debut studio album Settle was released in June 2013 and became a commercial as well as critical success. The album ended up getting nominated for a Grammy in the Best Dance Album category. Their second album Caracal was released in 2015 and it was also met with commercial and critical success. The group went on hiatus for a year in 2017 but confirmed in January 2018 that they were working on a third studio album. Disclosure has a lot of hardware MIDI controllers such as an Akai MPD26 pad controller, Akai MPC Renaissance, Akai MPK USB MIDI keyboard, Akai LPD8 pad controller, Roland AIRA TR-8 drum machine, Novation Launchpad, Nektar Impact GX49 and much more. On the software side, he uses u-he Diva, Sugar Bytes Effectrix, iZotope Ozone mastering suite, D16 Group Decimort and the Waves plugins bundle. His choice of headphones includes Sony MDR-V55, Sennheiser Momentum, Sennheiser HD 25-1 II, AIAIAI TMA-1 and Beats by Dre Pro headphones. His monitoring is done using a pair of Tannoy Reveal 6D studio monitors. A Pioneer DJM-900 Nexus and Pioneer CDJ-2000 Nexus are used for his DJ sets. What kind of headphones does Disclosure use? What kind of studio monitors does Disclosure use? What kind of laptop and computer does Disclosure use? What kind of DJ setup does Disclosure use? What kind of keyboards & synthesizers does Disclosure use? What kind of music production software does Disclosure use?